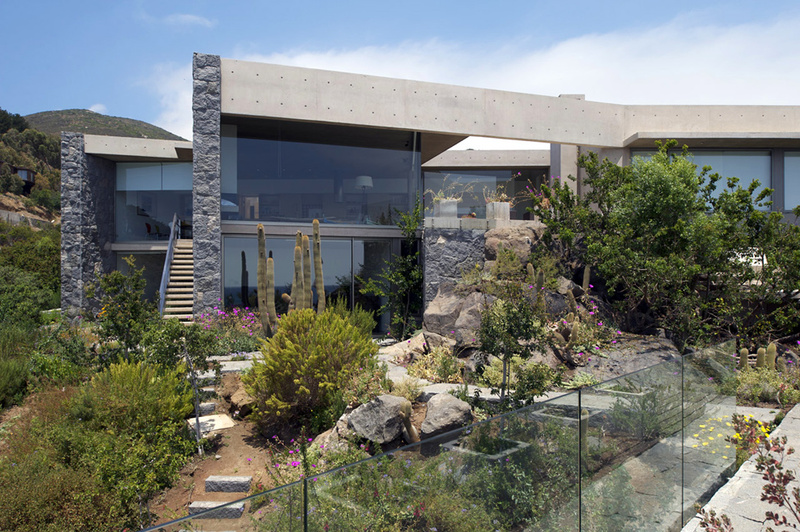 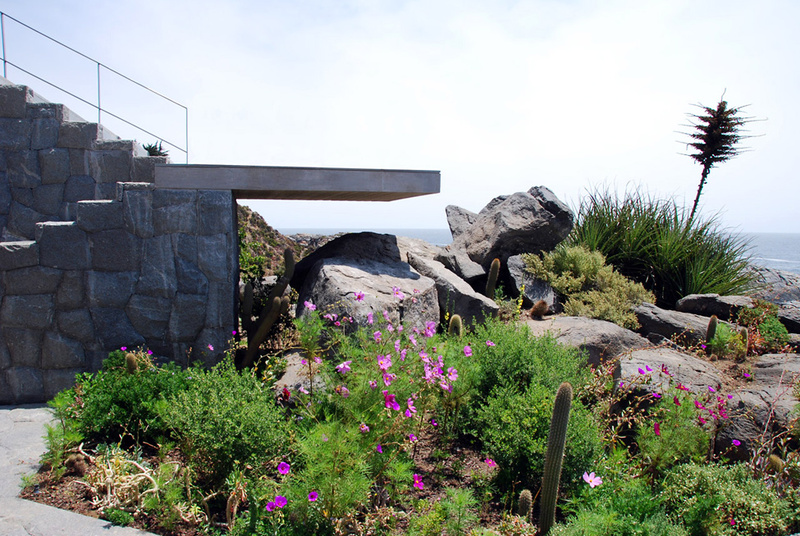 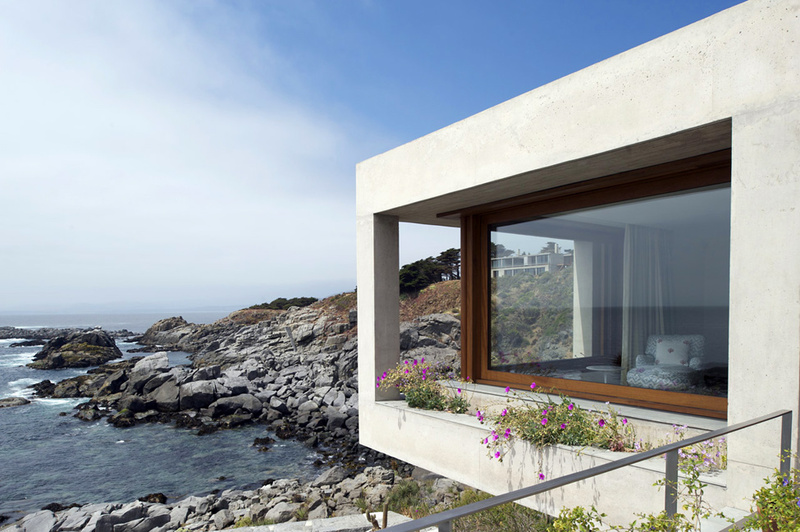 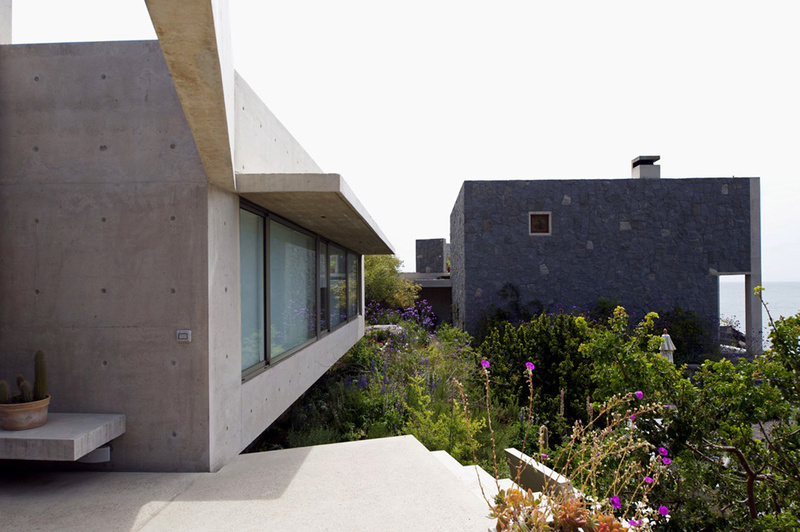 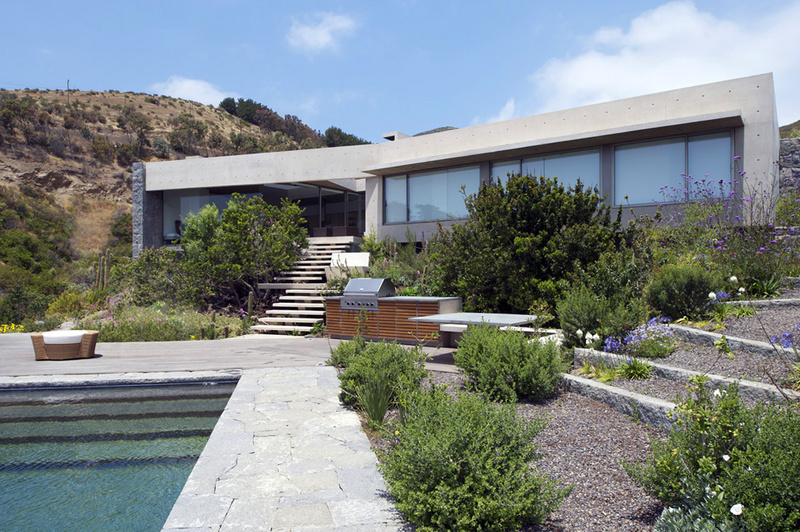 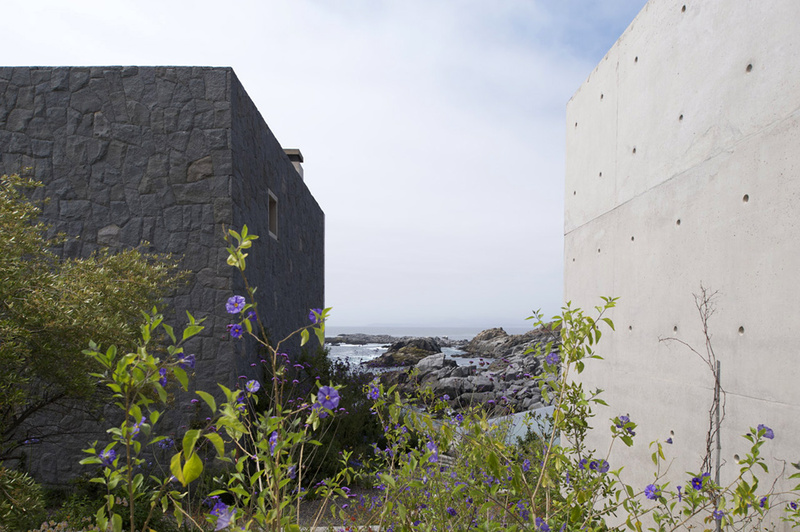 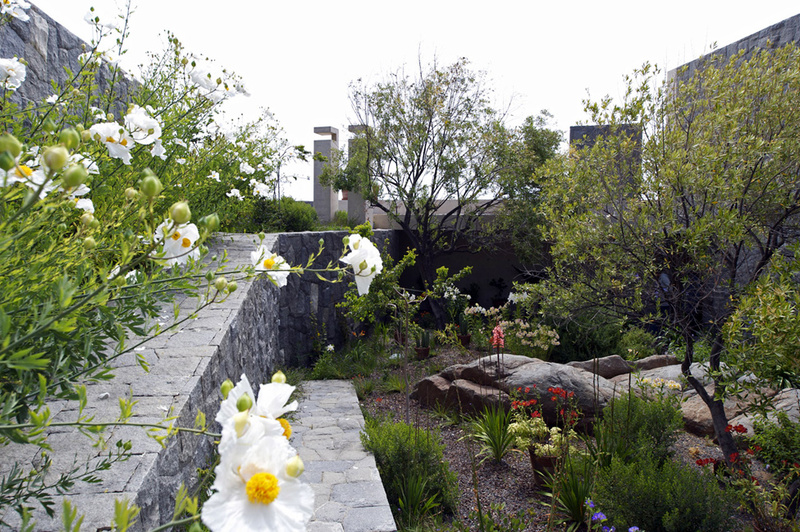 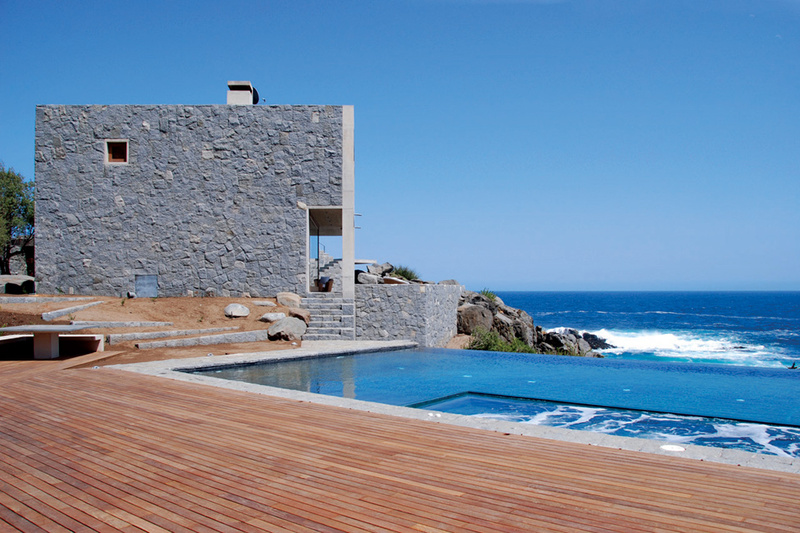 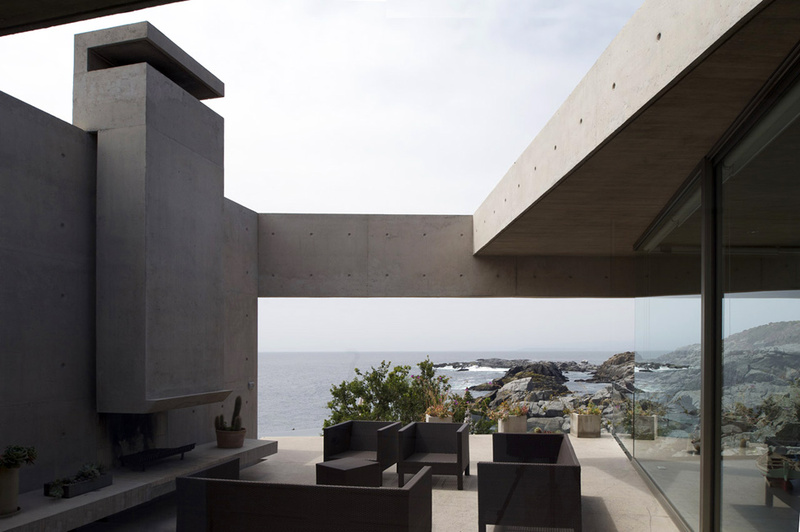 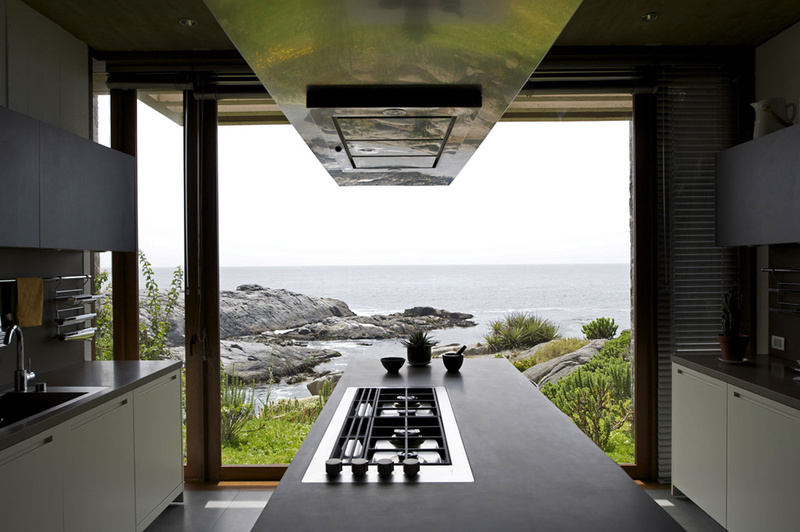 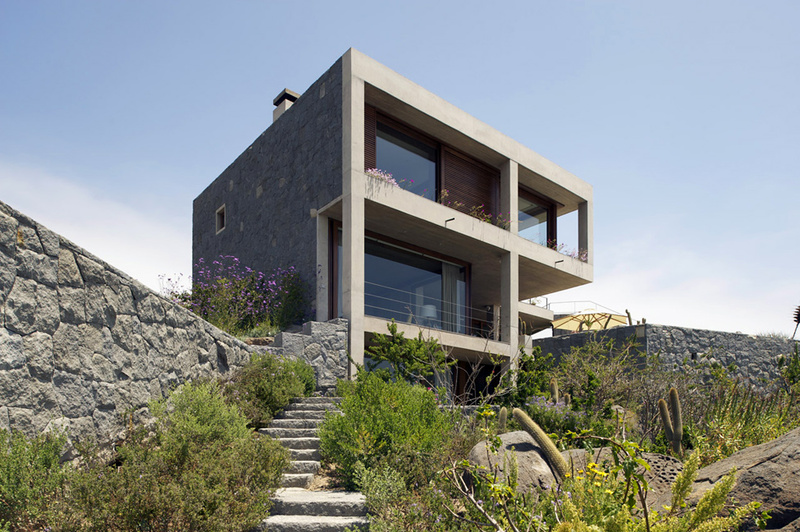 Architect Izquierdo Lehmann presented a draft of two apartment house at Punta Pite, Chile. 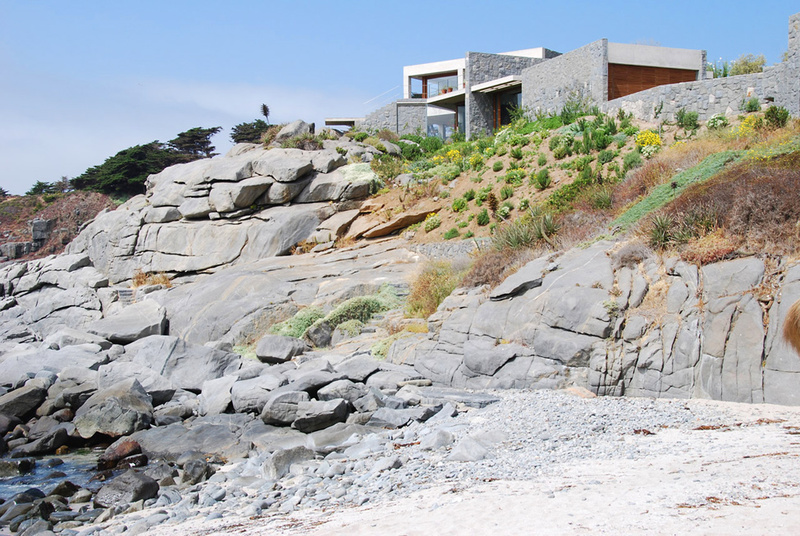 They belong to two generations of one family and serve as residences for vacation on the Pacific coast two hours drive north of Santiago. 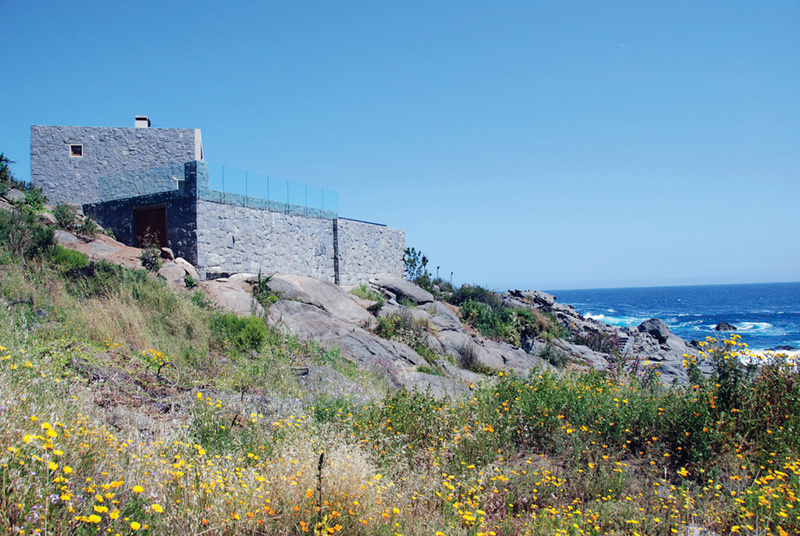 The parent house is located in the western part of the site, and in the eastern children live. 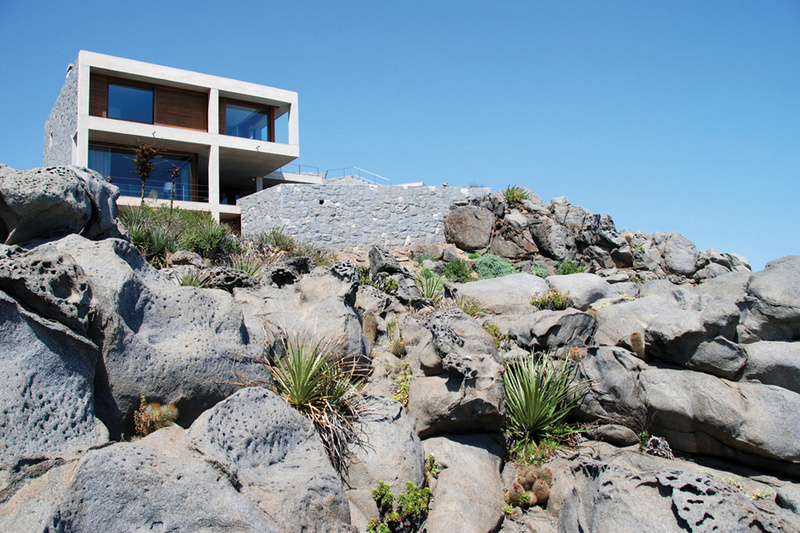 They are connected by a system of interlocking corridors running through the rocks.